Looking to master the basics of Squash 57? Our bite-sized tutorials will show you how - from serves to drives. 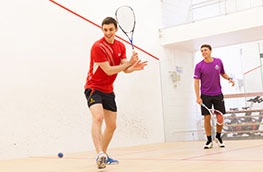 You'll need an England Squash website account to view the videos - log in or sign up now. More coming soon.